Whos riding a Hawk Hill and whats the verdict? Everyone still loving it? Just picked up a Hawk Hill 1 this weekend. 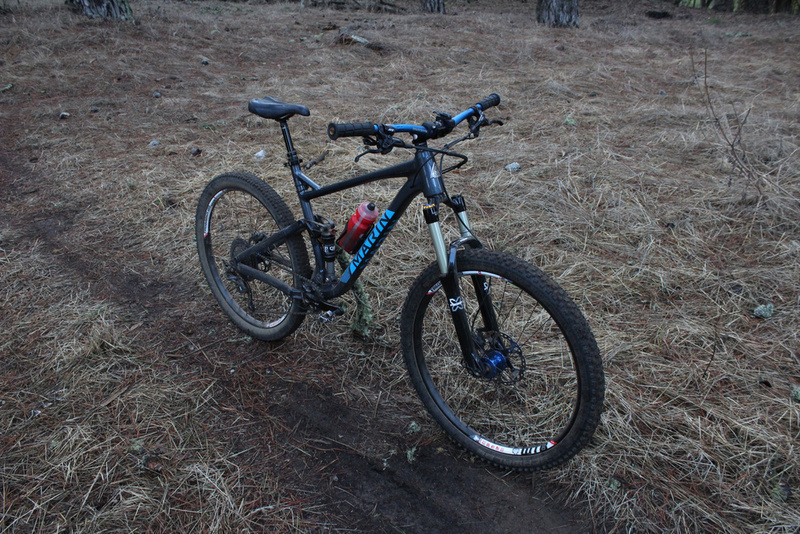 I know eventually I wanna change the rear shock to something with a lockout, and add a dropper post. But whats everyone finding as the first thing they wanna change? I plan to ride it like it is for a while before I do anything. Just looking forward to riding again after a few years off. Just bought one yesterday. Been riding for close to 30 years and Ive had lock out shocks before and really never used that feature but definetly get a dropper best recent bike invention imo mine fit perfect. The pedals are the first thing I upgraded and these match the blue frame color very good. 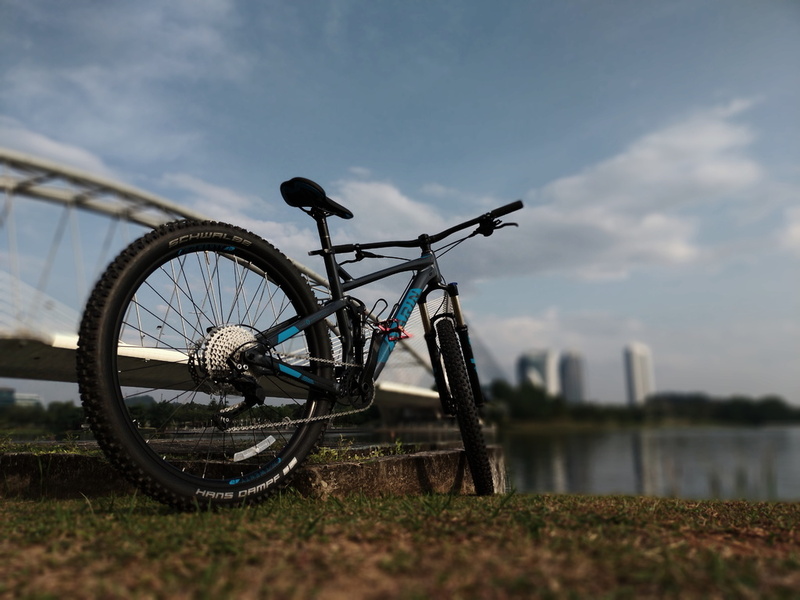 Going to ride this Sunday so cant say how much I like it yet but bang for buck its very good in this price range. I got $280 store credit at performance bikes so even more of a bargain. Check out the pedals a little pricey but they feel grippy and add some bling.. I bought mine last year and found the gearing didn't suit my riding style! First time I've had a 1x so opted to put a 34T on the front and build myself a custom 10 speed cassette (14-32T). This is despite being told by Marin that it wasn't feasible without a lot of modifications to the crank. 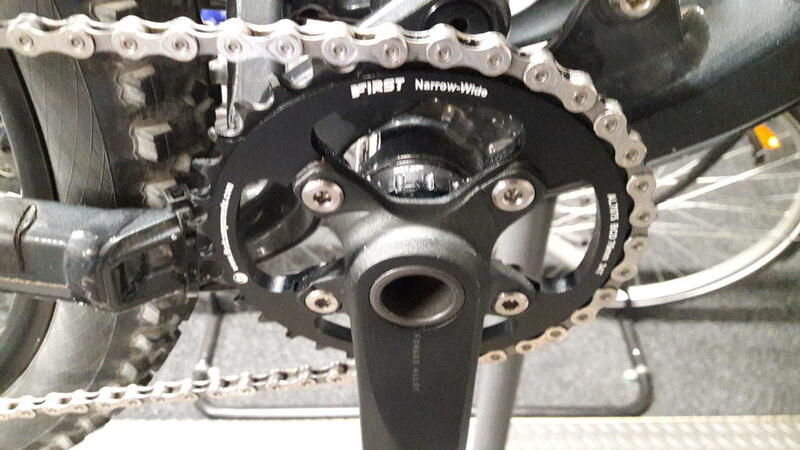 Purchsed a First Components 76BCD R-MXX NW chainring from The Blacksmiths based in Milwaukee on eBay and this fits the cranks with a bit of light 'fettling'. 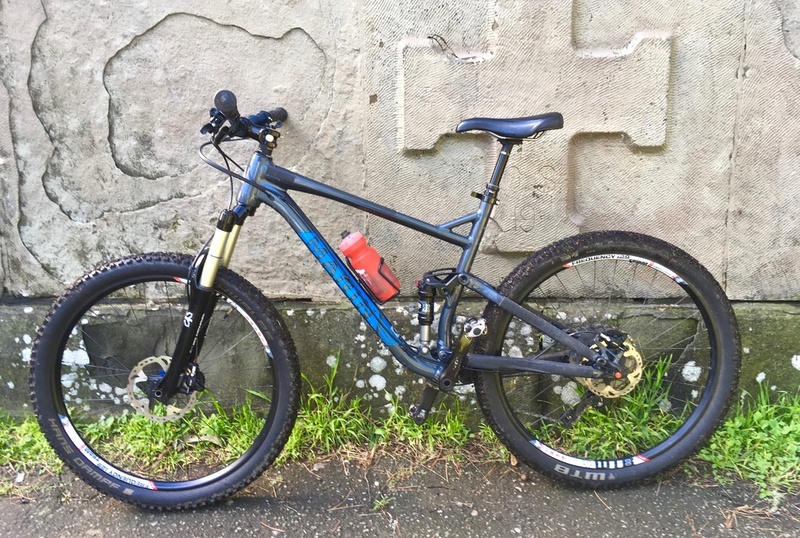 This set up works well for me, suits the forest trails I ride and I still have the stock Sunrace 11-46T that came with the bike should I fancy venturing into the Port Hills. The biggest gripe I have with my Hawk Hill is the recent discovery that the rear wheel bearings are sticky & as rough as when rotated by hand despite having only done a couple of hundred dry kilometers. An easy enough fix but disappointing nonetheless. On balance though, I really like how this bike rides. Suits me anyhow! Wtf? 14-32? Why would you do that!?! Because I can!!!!!!! Been making close ratio & bespoke cassettes for years. I just like to 'dabble'. Besides, the forest trails close to home are pretty flat so I don't need the higher gears. Edit: Doesn't make a big enough change to warrant doing..
Last edited by broncbuster; 05-08-2018 at 07:03 AM. had mine out about 4 times now. Got a dropper post which is a first for me. I love it when i remember to use it. I run clipless but will probably get flats as well. thanks for the tip on the Forte pedals. Still getting suspension dialed in. Front suspension im still not using 75% so i need to back down the pressure some. Rear im using probably 100% from the o-ring, however i cant recall feeling it bottom out. Went to a 26t chainring. Perfect gear range for my use now. Have had a number of rides now and really liking the Hawk Hill. Got a nice ride in today. Haven’t done much besides dropper and pedals. Slowly building my riding confidence back up. Loving the dropper post. I've been 'fettling' again! A couple of necessary mods to my Hawk Hill. Custom cassette & 34T chainring sorted. Frame protection for the chainstay/seatstay bridges using old inner tube & RTV sorted. Some of the fire trails were taking a toll on the paintwork. Also added a barrel adjuster to the Deore rear mech! Yeah I know, there's already an adjuster at the lever but personally, I like to drive/rotate the cranks with my right hand and adjust with my left at the rear mech - much easier! Bit of an update on this issue. Stripped & cleaned the rear hub and discovered some rubber debris which I reckon is part of the lip seal that must have become trapped and sheared offf when assembled. All good now but not great having to strip down a bike with only a couple of hundred k's on the clock! 3D printed some bar end caps to match, ya know, cuz I can. I have had my Hawk Hill for a couple months now and have put about 250 miles on it. The only issue I had was the rear QR adapter getting some play in it. I went ahead and bought new wheels with a rear through axle. My HH has had quite a few upgrades but mostly because I am having fun working on it and I really enjoy tinkering. I feel like the stock bike is quite good. .......... I feel like the stock bike is quite good. ya, actually surprised quite a bit by it. Been out of MTB-ing for like 4-5 years now do to leg issues. Before never much liked Shimano shifters, nothing wrong with them, just preferred the feel/placement of SRAM's but got to say I'm very much OK with these, they work well, even for rather cheapo's that they are. Even the rear deraileur woks better than I expected. Also always hated Hydro brakes as I do construction and have a rather heavy grip, Mechanicals always worked better for me as hydros were to "ON/OFF" with no real feathering. These are a nice in-between it seems (so far anyway) more grippy than BB7's but not so bad I end up going over the bars like I used to do with hydro brakes. 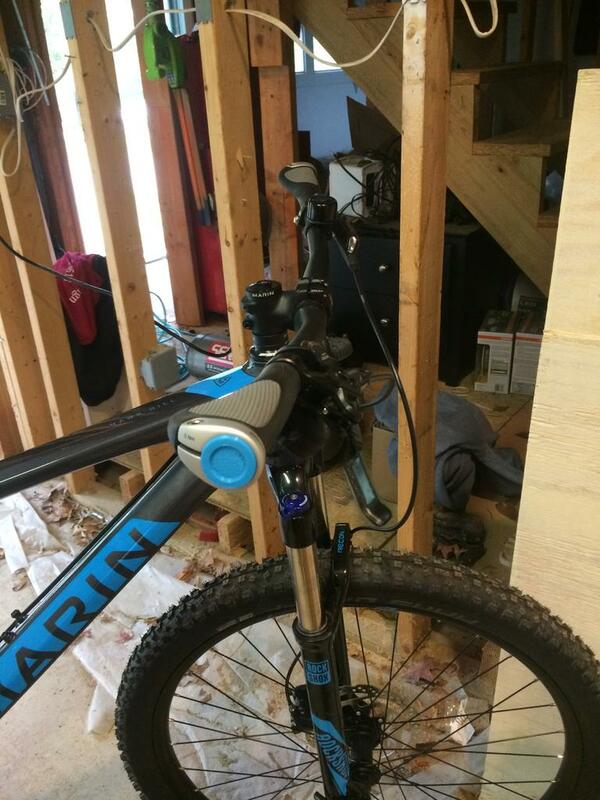 About the only other thing is the seat/seatpost, do to my knee I need to sit back farther, thank god I can still get the Ibeam seat posts and saddles as they are the only one's I can get that allow me back far enough to not screw with my knee. But that's a ME thing not really a bike issue. ya, all and all, it's a pretty impressive bike, especially in it's price range. I put the sram xd driver on my rear hub and then put the eagle drive train on my Hawk Hill. It this point I am just in love with this bike. 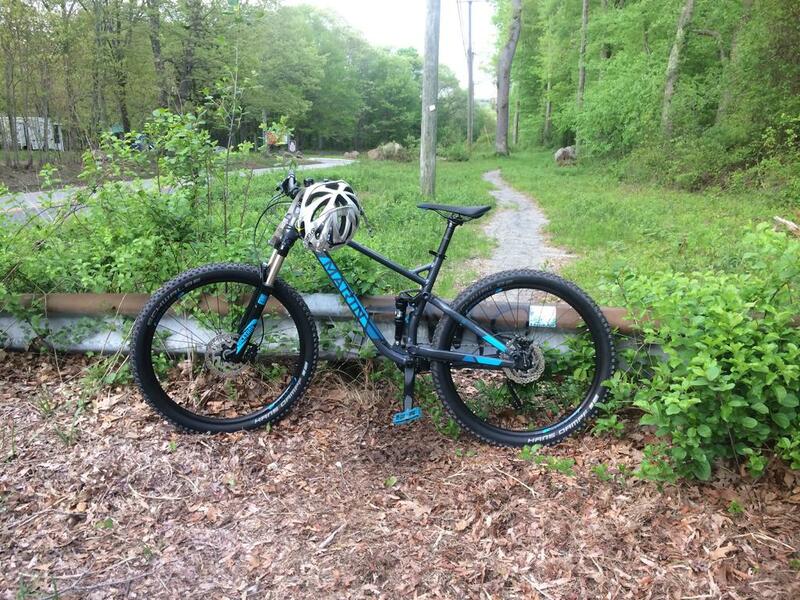 It rides so well, climbs great, goes over a lots of stuff smoothly, and I feel very comfortable. It can do more than my skill level so I think I should be good on it for a while. This pic is from a wet ride today, testing out the Eagle drive train. The derailleur and cassette are massive on it. wicked easy tubeless setup! 1" gorilla tape, couple stems, little Caffelatex (yup, found it works better than Stan's generally). and about 15 (relaxed working) minutes each tire.. and she's tubeless. tires/wheels are a good setup/match! I had more trouble with mine going tubeless. They converted easily but Both kept burping out the sealant and never seared well. So ended up getting some new tires. I think most don’t have any issues setting them up tubeless, so some user error could have been part of my problem. ya. I scrub everything with a rag and rubbing alcohol , both tire and rim.. making sure I hit the seat/bead well. helps a lot. Also found the CaffeLatex seals bead better/faster than others. also pump up to about 40-50LBS at first and seat everything, bounce off the floor a bunch.. leave high over night, then bring down to riding pressure. Yeah, I put about 100 miles on mine before converting them and didn’t do a great job cleaning them before converting. I got some minions for a good deal and they mounted up tubeless perfectly. I saved my stock tires for another build in the future. I’ll make sure I give them a better cleaning before mounting them. They seem to grip well and I don’t really have any complaints riding the stock ones. I've been looking at the HH for a while now and finally picked one up a couple of weeks ago. The tubeless conversion is definitely in my future. The 780mm bars are wider than anything I've ridden before but I figure I'd try them for a while and see - may end up liking them, or I may cut them down to 740mm. Most of my Trail riding here in FL does not involve significant climbs and decents - it's really flat most of the time. Mostly technical stuff... I'm thinking of going to a 34T chainring (it came with a 32T) since I virtually never get to the tall side of the cassette. 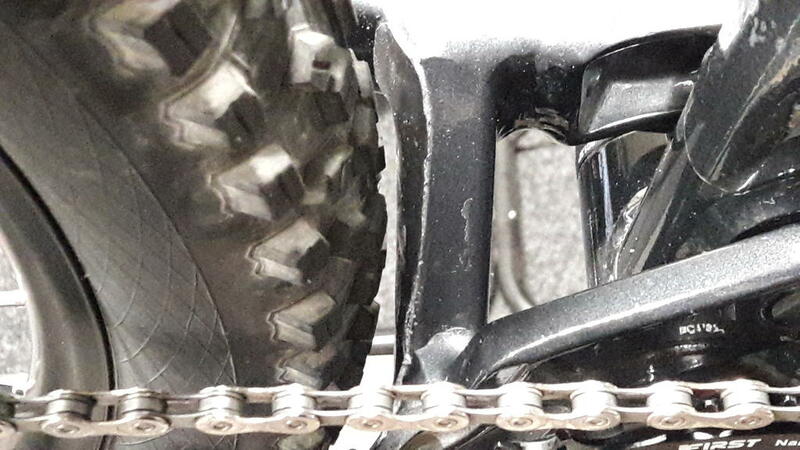 Even though I never spin out on the 11 cog on the trail (easy to do on pavement), I think that an extra couple of teeth on the ring would help. Anyone recommend a good NW 34T for the HH1? It is kind of a strange 76BCD bolt pattern. I've only found a few out there. 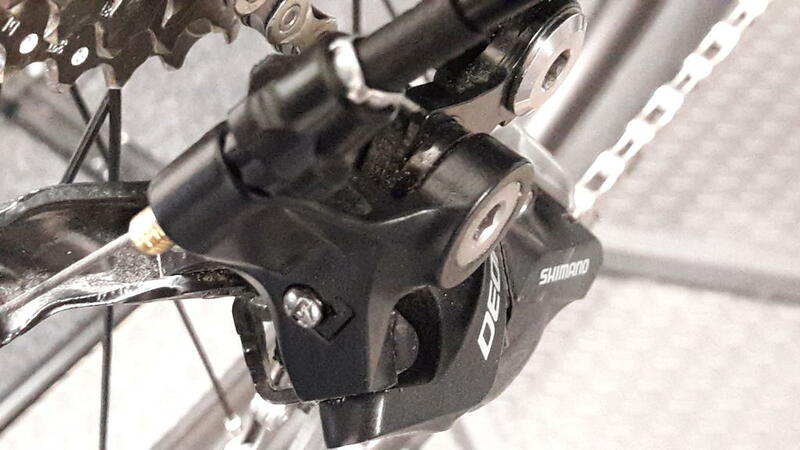 Most seem to be designed for 1x11 drivetrains and the HH1 is a 1x10 (Shimano Deore) but I assume that they should be compatible. I found it hurt my hands out that far, they were like twisting my wrist.. think I'm at 690-700 area and really comfortable especially with the Ergon grips. Thanks for the quick reply. So far the 780mm does feel a bit wide. My Specialized Pitch Comp hardtail that I've been riding for the last year or so came at 720mm and I've been pretty comfortable with them. Over the next few weeks I'll probably trim them a little at a time until I like them. I think I did see the Blackspire rings somewhere. Maybe Chain Reaction? I'll check them out. The new blackspire chainrings are compatible with the stock 8mm crank bolts used on the HH. I found on the older (new though) but discontinued blackspire rings (that you will find on ebay and a few other sites for around $35-40) require 8.5mm hardware which is no longer available. But you can get the new 8mm compatible snaggletooth narrow wide rings direct from blackspire's website for around $60-66. Man, I have been trying to figure out why my wrist have been so sore. I too think it’s from the longer bars. I was riding 760s and they seemed fine on my old bike. The 780 on the HH hurt so I switch to 800 bars with a riser. Of course it’s worse. I cut them down but I think I need to go back to the 760 width. Glad to see it isn’t just me not liking this new trend for wider bars. I changed my chain ring out to a sram xx1 32t. I did have to file the ends of my crank bolt arms a tad because there is a little lip around the chainring that hit the bolt arms. These are older sram rings so they can be found for cheap and are really nice quality. But any 76BCD should work. Great tip - thanks for the info. I've looked at the SRAM rings as well but wonder about the thread. Is the Standard for XX1 8mm or 8.5mm? The SRAM rings are really low $ in most places. But I may just go direct to Blackspire to make sure that they are compatible. I know that the wolftooth narrow wide are 8mm can't say about sram though. If you go the sram route don't forget you want the ring with narrow/wide teeth. Edit: Now that I think about I think Blackspire told me that sram did use the 8.5mm hardware but dont know if that is the case with all of them. Sram may have the 8.5mm bolts if that's the case??!! 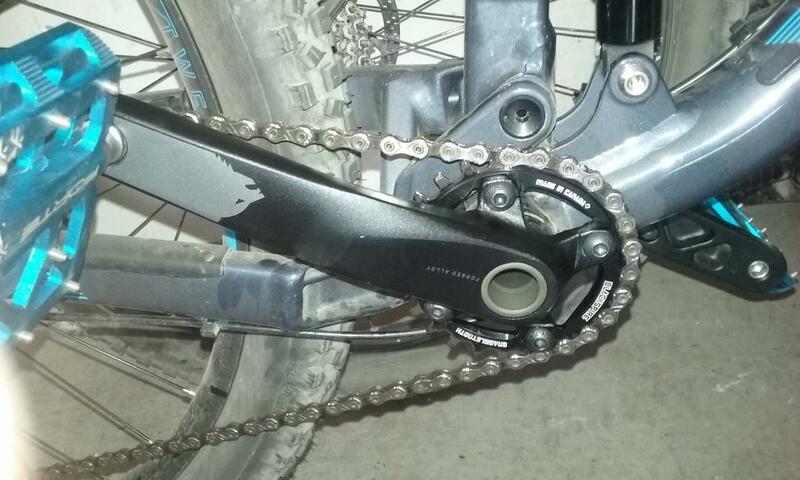 I am running a sram xx1 chain ring on my stock cranks. The chain ring is 8mm threaded. The nice thing about the xx1 chain ring is it is really light weight. Can't tell by the pic is that a narrow wide ring? Yes it is. It is the x-sync1 type chain ring. Good to know did you wear out the original 32t it came with already? my local bike shop has about five of these chain rings in stock that are not selling because that 76mm BCD is not standard for the sram cranks any more. So he sold it to me for $30. It is easily half the weight of the stock chain ring so I went for it. I am actually getting the GX eagle cranks later this week so I will be pulling the stock cranks off and saving them for another build. I have enough stock parts to throw together a decent hardtail. I can have a bike for a friend to join me on the trail. I just need a basic hardtail frame that matches the Hawk Hill specs. I'm the opposite I'd go heavy steel ring if I could find one.. I am still new to mountain biking so I haven't experienced how parts wear or hold up. I may be in agreement with you once I put some miles on this xx1 chain ring. Aluminum is light but as an example even a plastic water bottle will wear out a water bottle cage made of aluminum. Plastic or carbon cages will last longer.. I ordered the Blackspire 34T ring yesterday. I made a note to send one with the 8mm mounting holes. It should arrive sometime late next week - I'll report back as soon as I get a chance to try it out. I received the Blackspire 34T chainring yesterday. I haven't had an opportunity to try it out yet - I installed the KS Lev Si dropper this evening. 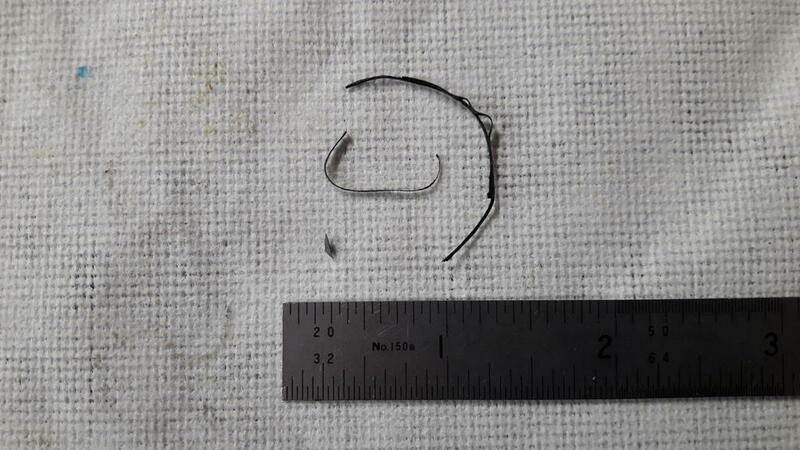 I rode the bike on Saturday and found the front wheel developed a slight wobble - maybe a few mm and not noticeable when riding but you could see it when just spinning the wheel. So I took it back in to the dealer that I bought it from and he trued the wheel up in about 15 mins. I also had them cut about 12mm off each end of the bar. The total length is now about 755mm and is a bit more comfortable. 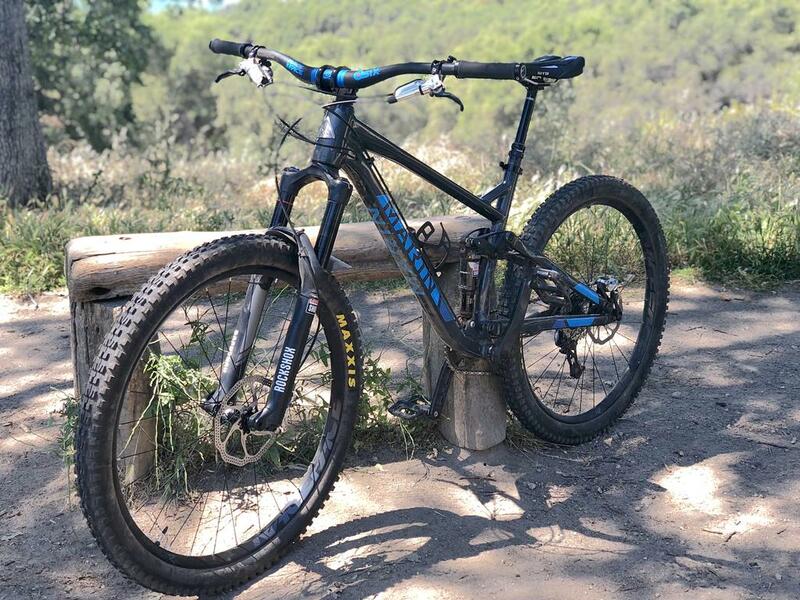 So I rode it again on Sunday through some relatively rough and lightly technical trails and the wheels are still good. The bar was definitely better as well. I've been riding my Hawk Hill quite a bit over the last 6 weeks and am very happy with it. I have found that most of the trails that I ride here in South Florida are pretty flat. There are some fairly technical trails but the total elevation change is typically about 10-15 feet, max 25-30 ft - all pretty much man-made. I've also been riding it a bit out on the levy roads that criss-cross most of the southern third of the state. These are rocky and rough in some places but very flat. So with the stock drivetrain (32T, 11-42T, "gear 1" @42) i find that I ride pretty much exclusively in 7 and 8 on the cassette. I've rarely used 6 when I've had a "climb" on the MTB trails and a few times used 9 on the levy with a stiff wind at my back. The taller half of the cassette is never really used at all in my terrain. 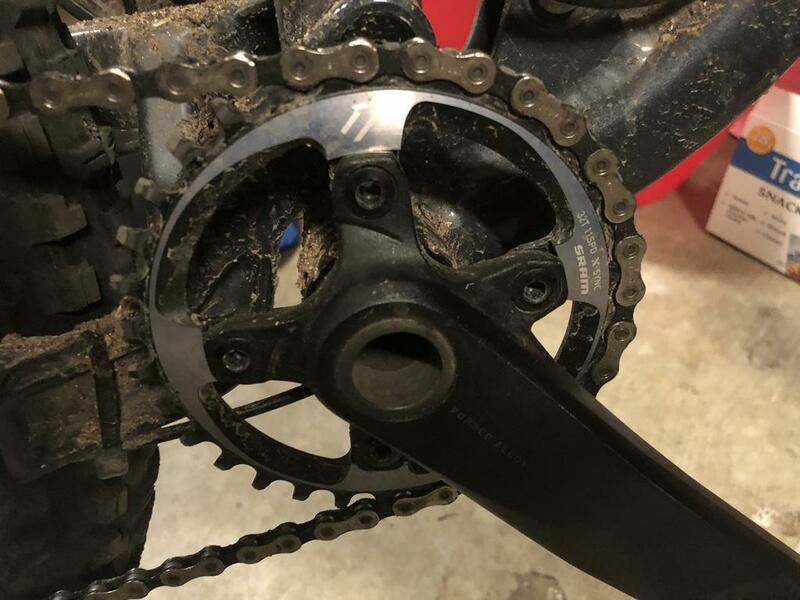 So with the 34T Blackspire installed, I was still using pretty much only 3 gears in back so I decided to change out the cassette to a Deore XT 11-34T. This has been a big improvement - since the cogs are closer together (in tooth count) I am using more of them. Now I am using 4-8 (and even 9 with a stiff tailwind) on both the technical trails and the levys. I basically went from 3 most used cogs to 5 and it's a lot easier to select the best gear for the immediate need. By the way, the Blackspire Snaggletooth 34T chainring went on easily and fit perfectly. I ordered the ring with 8mm threaded holes direct from Blackspire and the Marin stock mounting bolts were exact. The nuts from the stock ring were not needed since the new ring was threaded. The whole change out took literally 5 minutes - part of which was removing and replacing the pedal. The only other thing that I've changed is the grips. I put a set of Ergon GA2s on in place of the Half-Nelsons and they are a bit more comfortable. No tubeless conversion yet. I'm running the front @ 25psi and the back @ 28psi with no flats or rim strikes yet (fingers crossed). I figure I'll go until these tires are worn out and then go tubeless. So for now, I feel that there is really nothing else to change on this bike (until I start breaking or wearing out things). It's a fantastic bike for the $ and I'm really enjoying it. Did you get the 1 or 2? Post your HH guys.. I wanna see the looks. How is it going so far ? By the way, just bought mine this afternoon.. handsome bike. What upgrades have you done with Marin Hawk Hill ? 2018 marin hawk hill comes with schwalbe hans dampf tires, is it tubeless ready? You need to tape the rim and add valve stems. Had a reply from Marin support, the guy said stock rims are tubeless ready but the tires are not. However, I've seen lots of people converting their non tubeless tires to tubeless... Hmmm. Is it marketing gimmick buying tl tires? 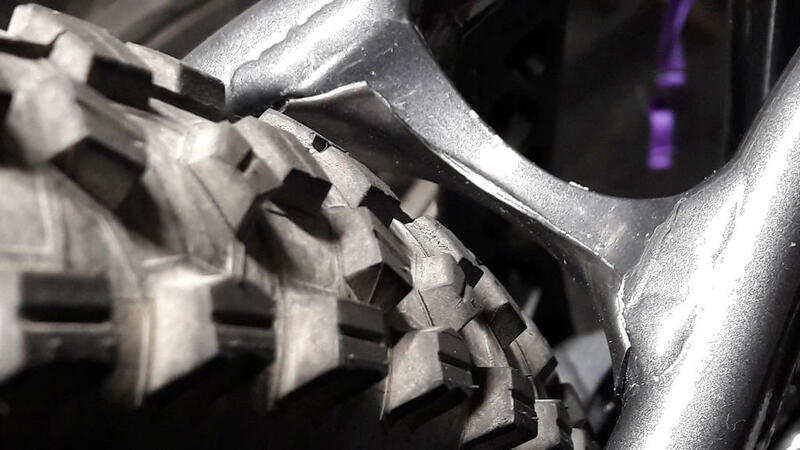 Curious answer about the tires. It appears that all Hans Dampf are tubeless ready. Some models are "TL Easy," which I guess means you will have less problem inflating them. Looking at Schwalbe website, the stock tires of 2018 Marin Hawk hill is the Hans Dampf performance line is not tubeless ready. Other models are. I too converted the stock tires to tubeless and ran them without any problems. Go over the Obstacles, Not around them. Yes, every review of the Hawk Hill I have read has mentioned tubeless success with the stock tires, and most of those reviews, if not all of them referred to the Hans Dampf. Also, the "performance" line is TL ready, but not TL easy. i've upgraded almost every system on mine. only the headset, bottom bracket, rear shock and seatpost quick release are stock. the bars i felt were way to wide for me off the bat, so i swapped them out for the 725mm race face turbine on my hardtail. went from the stock 60mm stem to 90 then back down to 70.
the stock schwalbe tires went tubeless without a hitch. the rear i switched to a WTB trail boss 2.2. i've won it down quite a bit now and have a 2.2 conti trail king waiting to be installed. it seems that when i switched from the stock recon to the xfusion sweep set at 140mm, the pedal strikes seem to have subsided a bit. the xfusion sweep is worlds better and far more adjustable than the rockshox recon, and it's very reasonably priced. i got mine for $650 at world cyclery. 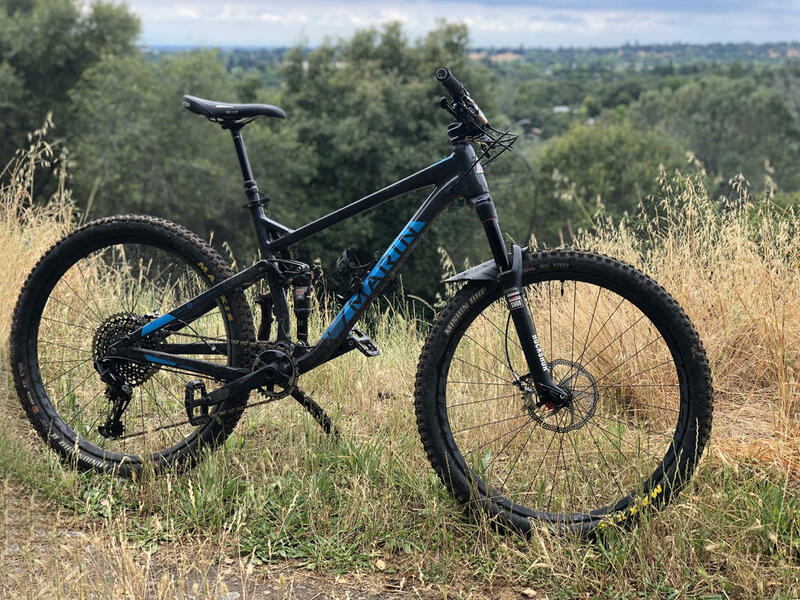 it's taken me a while to re-learn how to ride a dualie, since the last full suspension bike i owned i sold in 2009.
i was about to purchase the pine mountain 1 + hardtail, i'm glad i went with a dualie instead. i know some will ask why didn't i just save the two grand or so i've spent on upgrades to this bike on a higher end one, but i've been able to pick exactly the parts i want. Any plans on changing your rear shocks ? I felt that Im ok with stock 2018 hawk hill for now except for the rear shocks. I will use my stock hawk hill for 3 - 6 mos before I begin upgrading things step by step. Probably 1 year duration of upgrading things. 4. Replace wheelset with carbon or at least change the Hub to Hope Pro or Deore XT. In short, frame will be the only one left.. haha. Parts that I will remove from here will go to a project hard tail bike. My question is, is it worth the upgrade ? or buy a new bike ? yeah, get rid of those rotors. and yes, i am maaaaaaybe planning to replace the rear shock at some point. but my understanding is that the hawk hill's shock is "custom tuned" by xfusion. i'll have to have a conversation with my mechanic about that. Comparing my rear shock from previous bike, Giant Trance with Rockshox Monarch, I can say that monarch is better than our Hawk Hill's Xfusion. Don't get me wrong, it's a decent suspension but kinda leaning towards monarch. Anyway, can you ask your mechanic what is our Hawk Hill's exact bottom bracket size just incase we need to upgrade. It didn't specified on their website. Guys, do you know which bottom bracket we have just incase we need to replace it? My son has a 2018 Hawk Hill 1 that I noticed has a slight click in the rear suspension when I pick it up by the seat. Anyone have any idea where to start looking/listening for where something might be loose? The rear tire/QR stuff seems to be tight. But there is a bushing somewhere that isn't snug. I found that the more you tighten the bolt the more the bushing in the shock eyelet compresses and tightens at the bolt. Here's my experience with my 2019 Hawk Hill 2 that I snagged for $1250 (about $700 off) when Performance Bike went out of business. Over all I love how snappy the bike is and how everything just seems to work. I've only had a chance to put about 50 miles on it since the end of January due to all the rain we've had in SC and other commitments. There are a few things that I will be changing in the near future though as someone who's 6'3, a rider weight of 265, and pretty solidly built. I converted to tubeless after the first 25 miles, on my last ride I was coming around a corner (not a berm) relatively slow and I'm not sure if I caught something that pushed in on the bead or what but when I began braking for an oncoming rider my bead separated from the rim, taking my tubeless tape with it. Luckily it was pretty low speed but nonetheless not confidence inspiring given the fact I run my front at 35 psi and it wasn't a pinch flat. Luckily I was able to get rolling again with a tube in place. It's possible that my weight on the sidewall coupled with the downward force from the brake dive on my fork caused this to happen, which leads me to my other complaint. The stock Recon RL is serviceable but my no means meant for a Clydesdale like me which is to be expected. There's quite a bit of flex in the fork and I can't seem to get it dialed in for the life of me likely due to a combo of the rudimentary motion control damper, smaller air volume of a 32mm chassis, and further reduced volume by using thicker steel stanchions. I think 130mm in travel is pretty spot on and would only consider going up to 140 to raise the bottom bracket. I'll likely be putting on a Manitou Mattoc Pro in the next couple months. Maybe it's because I'm new to full suspension but the rear shock actually feels really good. At 30% sag I'm running about 240 psi though and I'm considering adding the $90 Rockshox megneg canister when it goes on sale. Overall I'm very impressed with the bike and looking fordward to getting some more miles on it. I'm not world's faster than I was on my hard tail but I am consistently setting new personal records which I feel will only get better with a more appropriate fork. Marin Hawk Hill vs Marin Hawk Hill 2 - Is the $450 difference worth it? 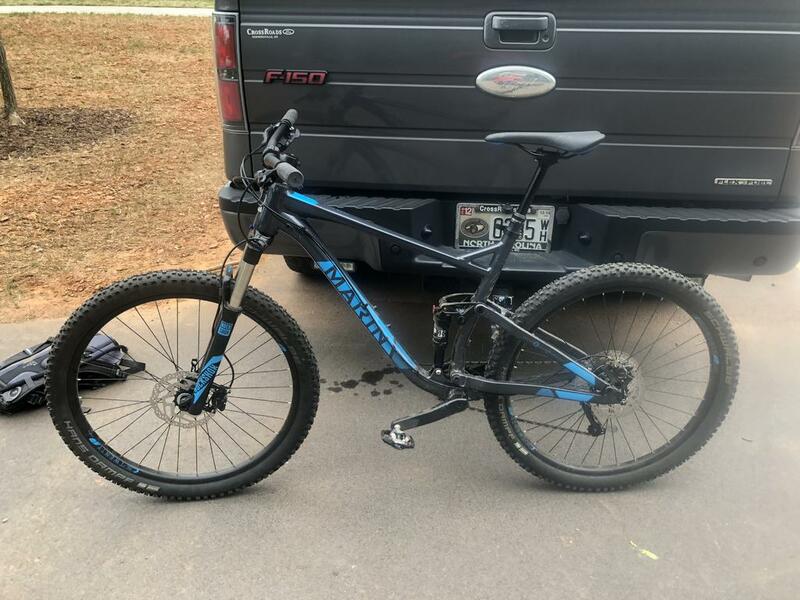 '09 hawk hill...I think it's gonna be my first MTB.